Since 1991, Four Corners Management Systems has offered management consultation to businesses, agencies and non-profit organizations. We advise clients in the competitive marketplace, help facilitate organizational and team development, and assist communities and organizations in developing their strategic plans and leadership skills. As a certified PDP System Consultant, Jasper can assist in the recruitment, selection, management insight, motivation & development of people -- your most important asset! PDP Works ProScans, JobScans, & BasicScans can eliminate the guesswork in personnel selection, staff motivation & employee development. As a facilitator with experience as an organizational executive, Board member and community leader, Jasper has assisted Boards, departments and organizations with mission statements, strategic planning, goal setting, Board training, decision making, organizational surveys and assessments. Jasper has worked with many agencies, non-profits, Chambers, management teams and leadership organizations. As an experienced business and motivational trainer, Jasper has provided instructional training in a variety of educational settings. He has instructed on topics such as: marketing, communications, time management, decision-making, strategic planning and leadership. Jasper has created, developed and implemented marketing plans, promotional strategies and public information plans for businesses and community organizations. His professional experience includes advertising sales, printing production, graphics coordination, public relations, media research, social media, market research, web site development & sales training. Jasper has provided consulting services to individuals, executives, managers and owners ranging from business planning, executive hiring decisions, joint venture management, business expansion planning, reorganization planning, strategic plans and on-going executive consultation. Each client and project is unique and demands a custom approach. Jasper has been involved with numerous projects and client services over the past 35 years of business, non-profit and agency work, both as a professional and as a management consultant. This broad base of experience and expertise is invaluable for FCMS clients that need Jasper for special projects. 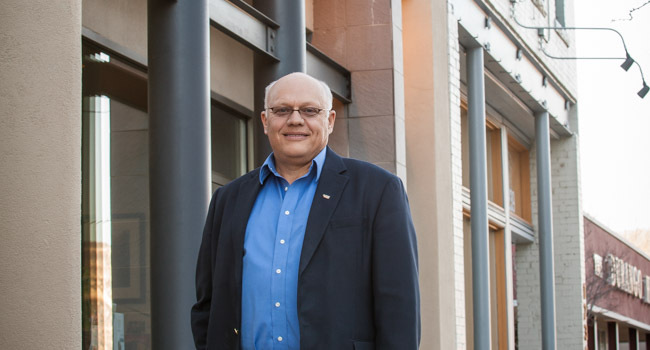 Over the past 35 years as a small businessman, non-profit executive, and active community leader, Jasper Welch has developed and implemented a number of successful programs and business ventures. Educated at the University of Colorado and experienced in a variety of business and civic projects, Jasper has the 'hands on' real world expertise to assist organizations.